Southern Maine is in the midst of another summer drought and it could become worse. 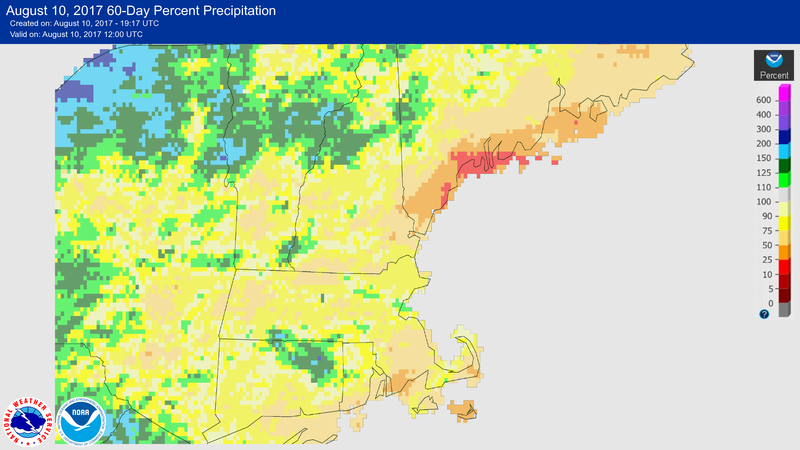 Much of New England has received adequate rainfall since the middle of the spring. 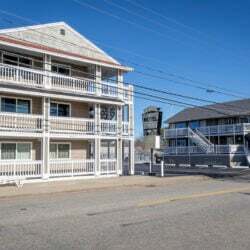 But there are parts of the region, mostly in Maine, where drought is returning – and expanding. After the multi-year dry period we just experienced, any signs that the drought is taking hold again warrant a closer look. Certainly, after a wet May, a drought seemed improbable. 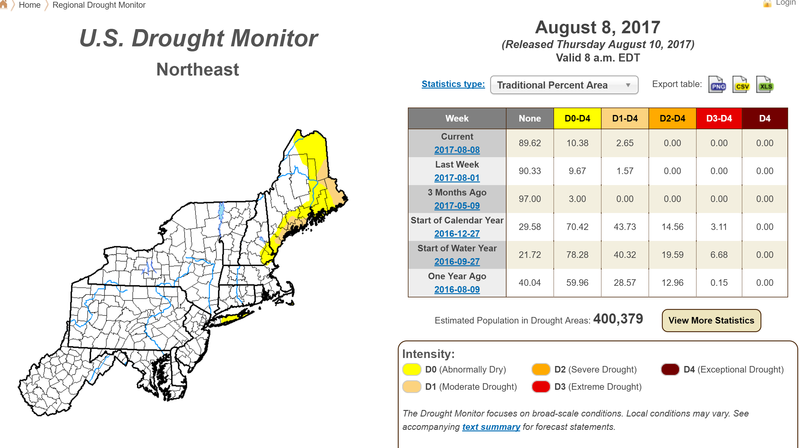 But after several weeks of very dry weather, parts of Maine have abnormally dry conditions or a moderate drought. Right now, things are actually worse in many cases than last year. If you travel along the coast, you’ll quickly notice the difference in the grass from the foothills where there’s been more rain. And the abnormally dry conditions are expanding. 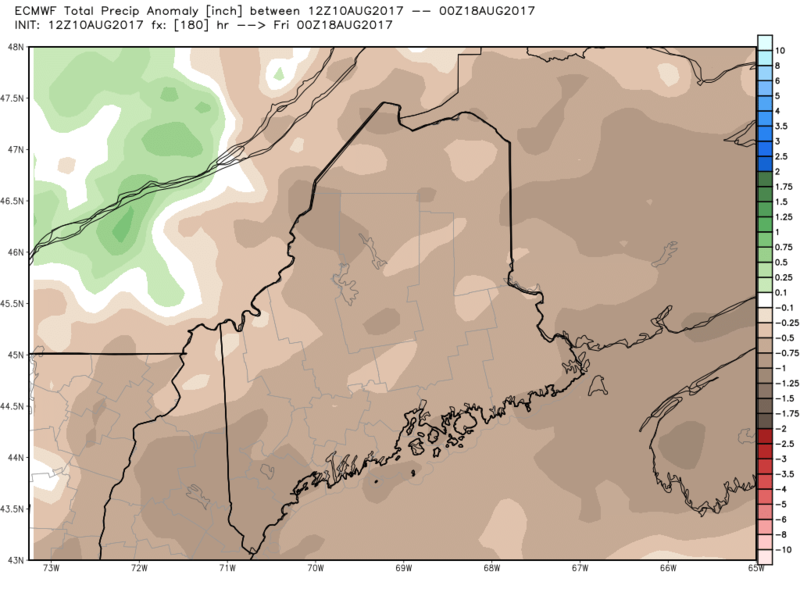 If we don’t see much rain in the next week, I expect other areas to go into abnormally dry status, the precursor to drought. For the past 60 days much of New England has actually been drier than normal. In Maine the driest area is around Greater Portland, where some places have seen only 10 to 25 percent of their typical summer rainfall. Lawns have gone brown. In some cases, there’s actually been less rainfall than a year ago. The moisture levels were doing quite well up until a few months ago, but since June they have really started to decline. Since there was a good deal of rain in May and early June, this is more an agricultural drought than a groundwater one. But I would be cautious about well water usage the rest of the summer if things don’t improve. Southern New England is doing quite a bit better. Boston is still running a surplus of rainfall. You can see how relatively even the precipitation has been over the past few months. This is why lawns continue to be so green around there. Looking ahead over the next 10 days, I expect the overall pattern of dry weather to continue. The forecast is for precipitation to be below average by nearly an inch in parts of the area. We don’t typically receive much more than an inch per week this time of year in the first place, so this would be quite a small amount. So far this summer, whenever a dry spell has started, we’ve seen a weather system come along to bring much-needed showers. 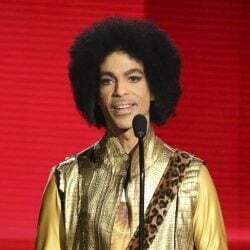 Whether that happens again in the third week of August is still in question. Of course, there’s also always the possibility of a tropical system bringing copious rain. This is often how droughts end – and many of us could certainly could use it after another parched summer.